Japanese cartoon makers were just as prone to raid fairy tales & legends for scenarios as their Western counterparts. One possible reason was that many of these films were produced expressly for schoolroom use. One interpretation of the origin of the famous “Peach Boy”; a pious war zealot who appeared frequently in animation of the 1930s. technique of animating the cutout characters on a sheet of glass above the backdrop is apparent. Yamamoto went on to supervise two of the most famous feature cartoons to reach the West in the 1960s, JOURNEY TO THE WEST (ALAKAZAM THE GREAT) and GULLIVER’S SPACE TRAVELS (GULLIVER’S TRAVELS BEYOND THE MOON). It may not apply in this case, but much of Japan’s Golden Age animation was produced to make wartime values “friendly” to children. It would be years until Momotaro emerged in the notorious WWII propaganda feature MOMOTARO’S DIVINE SEA WARRIORS (not by Yamamoto). From a fable also known in the West (and which was adapted for one of Jack Kinney’s POPEYE cartoons in the 1960s!). Another produced by the prodigious Yasuji Murata (1898-1966) in his highly original naturalistic style. The story told benefits from a tasteful use of minimal animation augmented with camera moves and optical effects. They eloquently convey human nuances and time passage. Note the scene where a slow zoom into a still drawing of the villain is used to plainly communicate his attitude toward his brother. Animated films like this make me ponder what might have been possible if the Disney style hadn’t come to dominate the form. tanuki, the funloving, shapeshifting raccoon dogs, led by the one-eyed Date Masamune (1567 –1636) another historic warrior. Both these true-life personalities continue to figure in Japanese popular media. Here we see the comic, Fleischer-inspired side of Japanese animation, with a hero resembling Bluto, and modern props incongruously figuring in a historic milieu. But still, an atmosphere of comic suspense is maintained. “Drawings”: Yoshitaro Kataoka, who made some of the earliest efforts in color productions, and was also an artist of manga. Loving these early Japanese animation. Thanks, Milton! after watching the momotaro cartoon and seeing that its creator, Zenjiro ‘Sanae’ Yamamoto, was born in 1898 I got interested in his professional history. after a quick and brief look on the net, it appears that after WW2 he founded a studio named Nippon Doga, that later merged with toei doga. it appears that his earlier works are not well chronicled. almost 30 years of work lost. the mind boggles. Speaking about Japanese animation Milton, how was your relationship with TMS when you were working on Adventures Of Sonic The Hedgehog?, Seeing that they only did 5 episodes (Super Robotnik & the 4 part Chaos Emeralds saga) they had to cost alot more then the Korean & Chinese studios you guys were using (as was the case with TMS’ efforts with Disney & Warner Bros); From what I have gathered, here ( http://tvtropes.org/pmwiki/pmwiki.php/Trivia/AdventuresOfSonicTheHedgehog ) is what has been gather about TMS’ animation directors & outsourcing studios on Adventures Of Sonic The Hedgehog, if you can please give us any more info about TMS’ involvement on Adventures Of Sonic The Hedgehog, that will be great, if not, then I understand. I only worked at the US studio, and had no dealings with the overseas ones. Well, it’s an honest answer so you’re off the hook there with the TMS crowd! 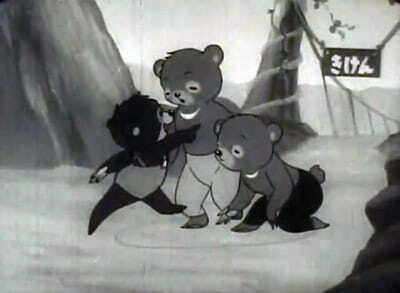 Thinking what you said about these films being made for classroom use, I’m reminded of one such film that actually made it’s way to the US courtesy of Encyclopaedia Britannica in the late 50’s called “Korochan The Little Bear”. Essentially about a little bear cub who naively wants to play all the time and not work like the others in his family and almost gets himself killed on a closed off rope bridge. Thanks, Chris. 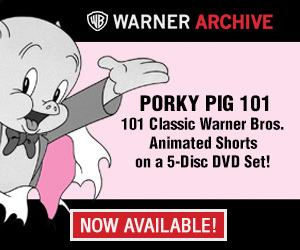 I remember that several late 1950s Japanese shorts were distributed here as Coronet educational films as well. I got one or two of those Milt, one I recall seeing plenty of times as a kid was a stop-motion piece produced by a studio called Gakken titled “The Rolling Rice Ball”.